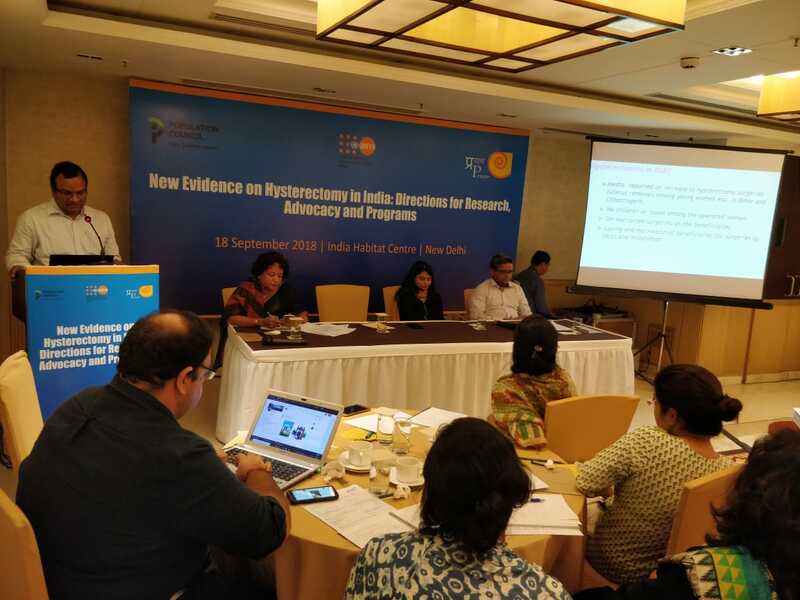 Prayas, in partnership with the Population Council and UNFPA, organized a consultation“New Evidence on Hysterectomy in India: Directions for Research, Advocacy and Programs” on September 18, 2018 at India Habitat Centre, New Delhi. 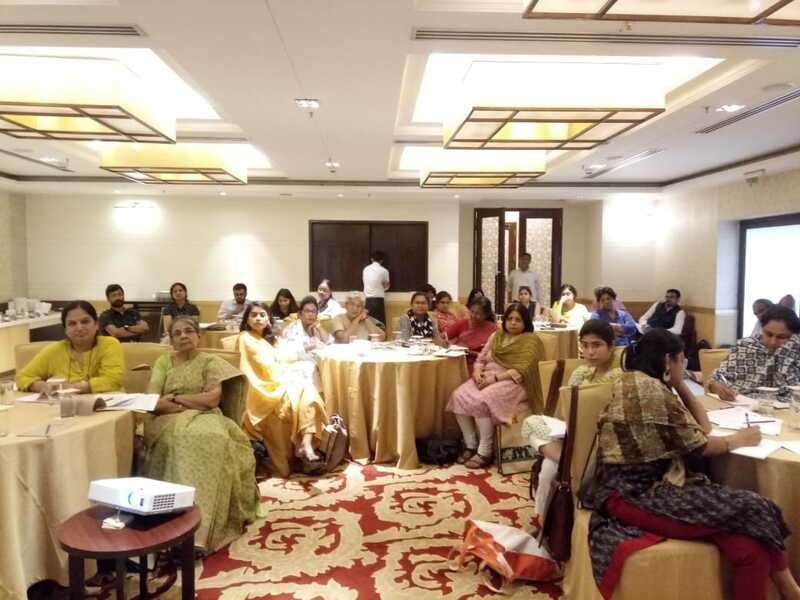 Hysterectomy, the most common non-obstetric surgical procedure amongst women, has been an increasing cause of concern and debate in India for several years. 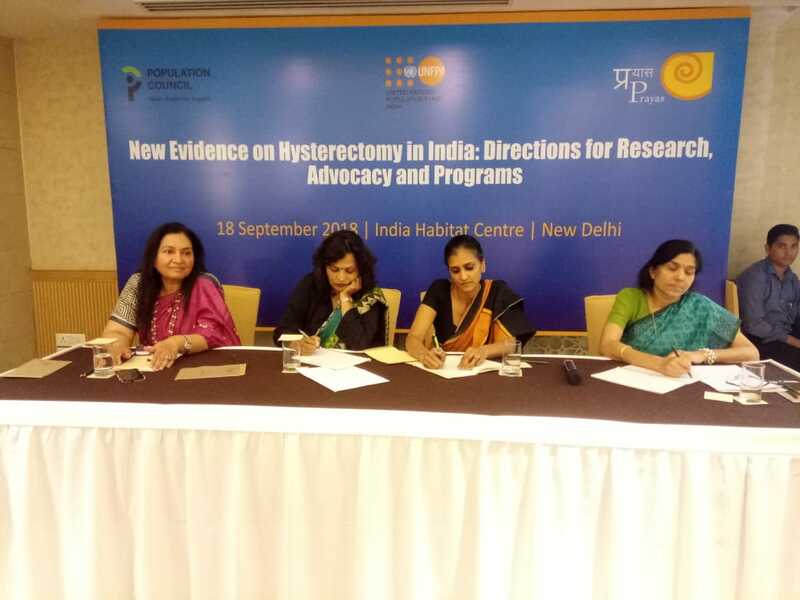 A limited number of community-based studies have suggested that hysterectomy is conducted at an exceptionally young age – ranging from 28 to 36 years –and largely amongst low-income women. 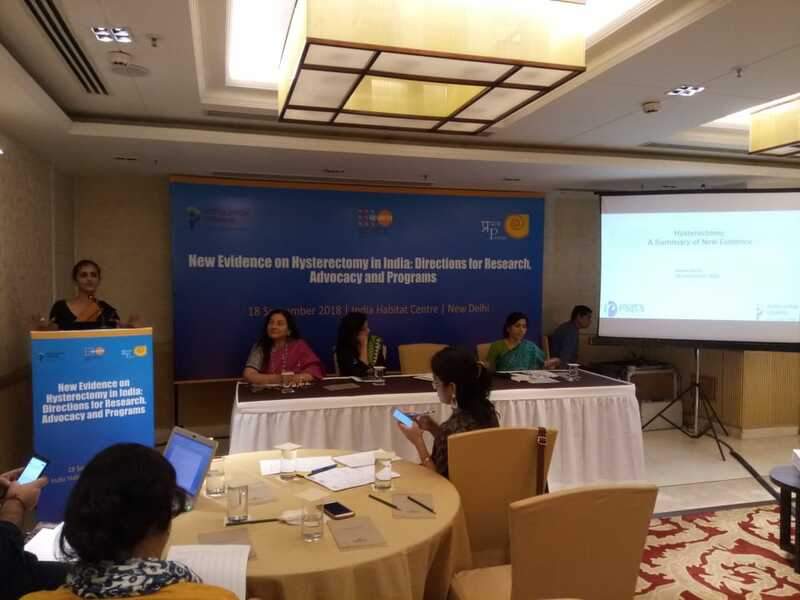 Anecdotal evidence also indicated a potential role of health insurance or provider profit motivations in promoting the procedure as a first-line treatment for gynaecological morbidity, in the absence of appropriate and affordable treatment, for rural women in particular. 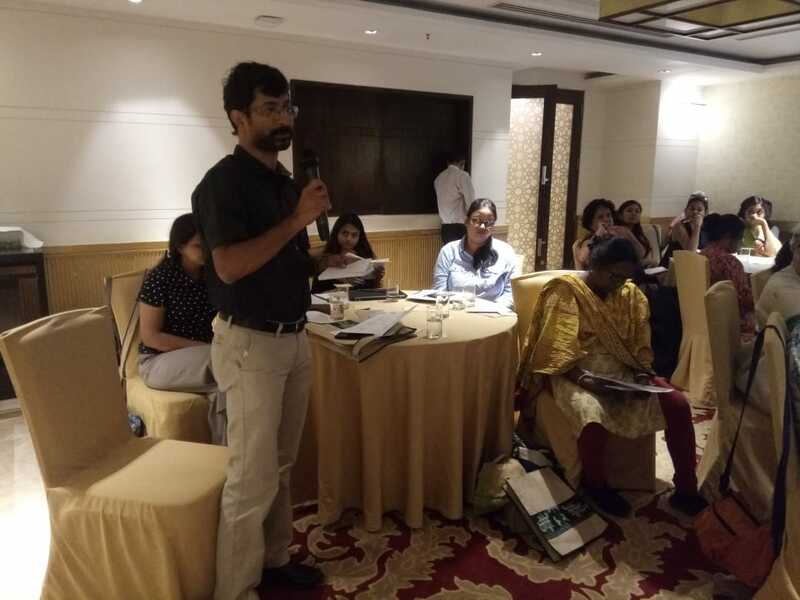 In 2013, UNFPA supported a national consultation on “Understanding the Reasons for Rising Numbers of Hysterectomies in India.” Organised jointly by Health Watch Trust, Prayas and HRLN, the consultation brought together over 30 researchers, practitioners and policymakers to examine the current state of evidence, experience and policy regarding hysterectomy and women’s health. 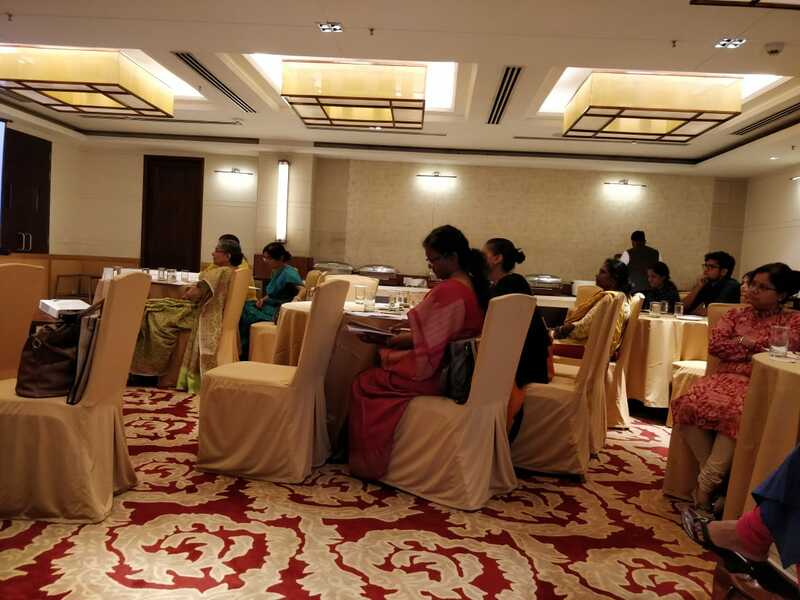 One of the key issues raised during this meeting was the lack of national estimates of prevalence and patterns of hysterectomy. 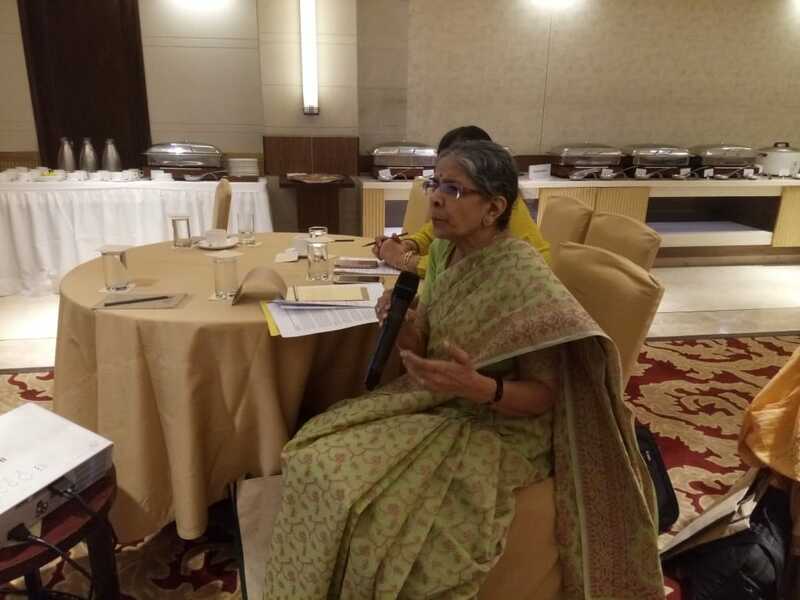 As a direct result of the consultation questions on hysterectomy were included in the 2015-2016 round that now allow for estimates of prevalence, median age, type of facility and reasons for the procedure. The NFHS estimates a median age of 34 years – significantly below global trends, where the procedure is commonly performed close to menopause. 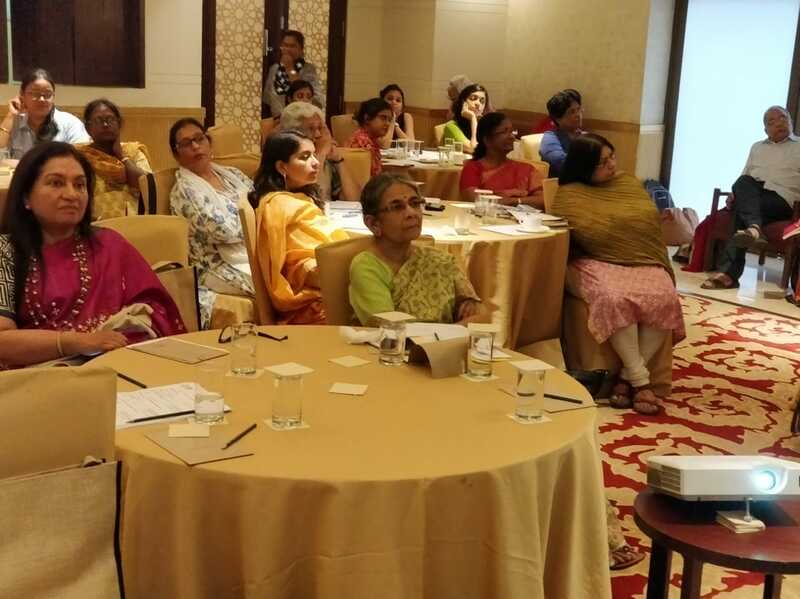 Community-based research suggests that oophorectomy commonly accompanies hysterectomy in India, effectively inducing menopause in Indian women at least fifteen years before the natural age. Lack of estrogen may be linked to a range of health conditions, such as osteoporosis and increased risk of cardiovascular disease. Women who are less educated, and in rural areas, have higher odds of having had a hysterectomy. 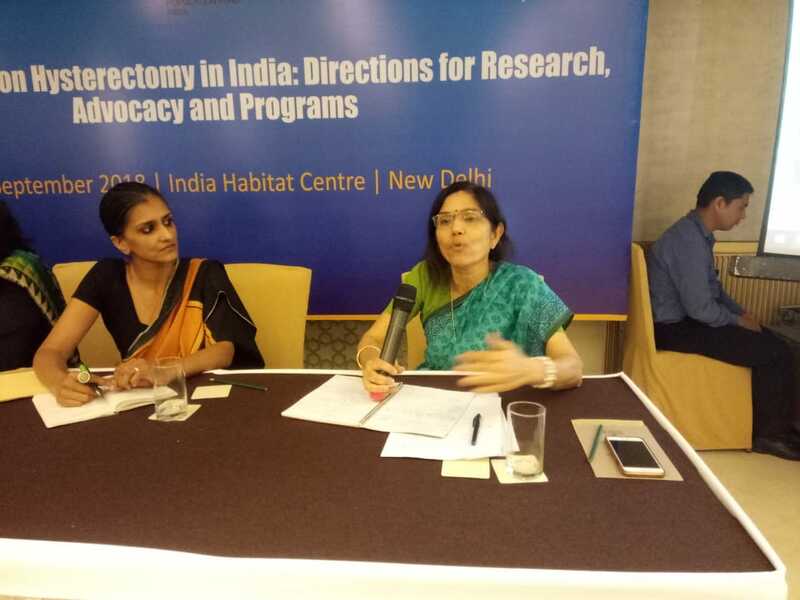 Sterilisation, caste, wealth and parity are all also associated with hysterectomy, but to varying degrees across states. 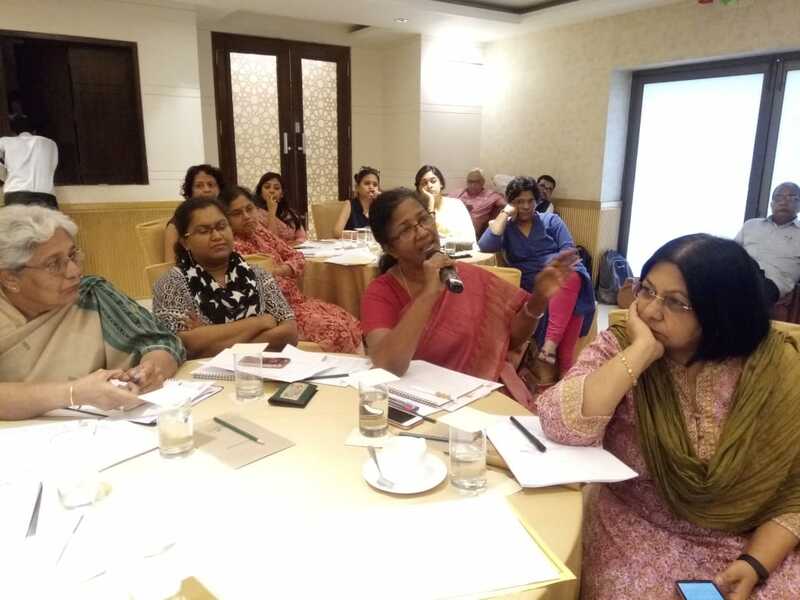 The association with sterilization is of particular concern, raising questions on the relationship of hysterectomy with family planning choices. 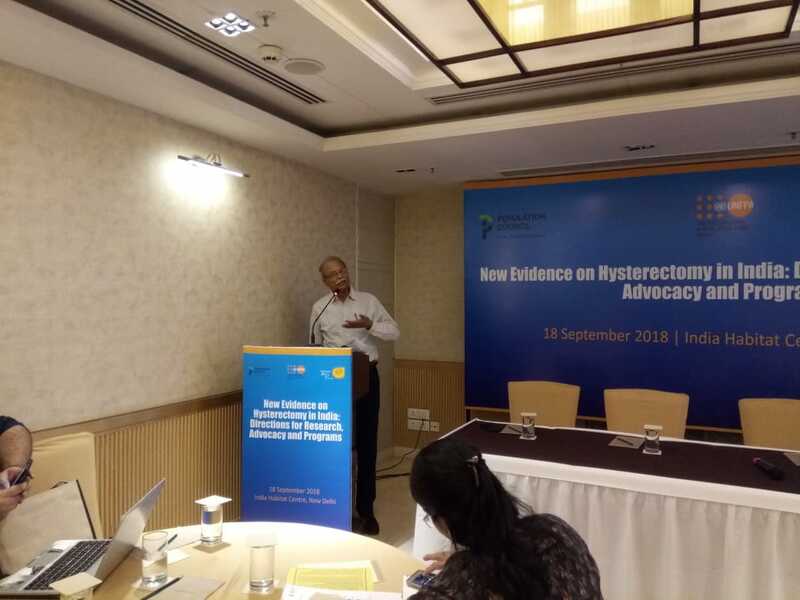 Patterns and predictors of hysterectomy vary widely across states, suggesting that the procedure is closely linked to health system performance, particularly the prevalence of cesarean section at the state level. 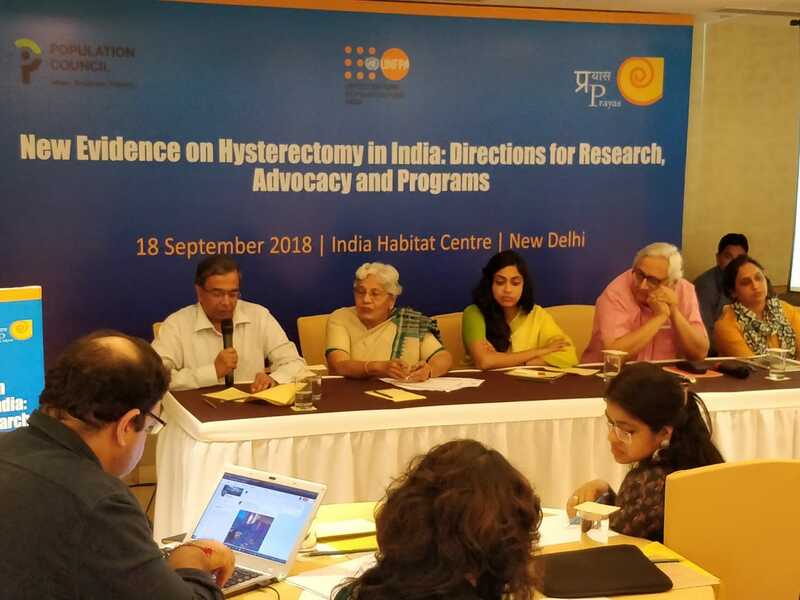 Four states have considerably high prevalence amongst women who are currently 40-49 (Bihar, Andhra Pradesh, Telangana and Gujarat) – with up to 22 percent of women between 40-49 having ever had a hysterectomy in Andhra Pradesh, for example—while others report prevalence of less than 5 percent. 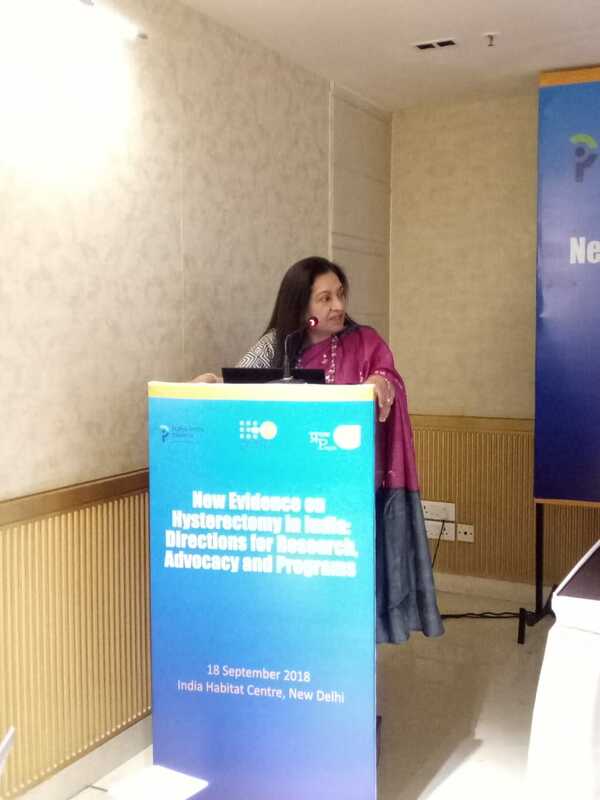 The variation across states calls for closer analysis of the drivers of hysterectomy and interventions to prevent unnecessary hysterectomy amongst younger, premenopausal women. 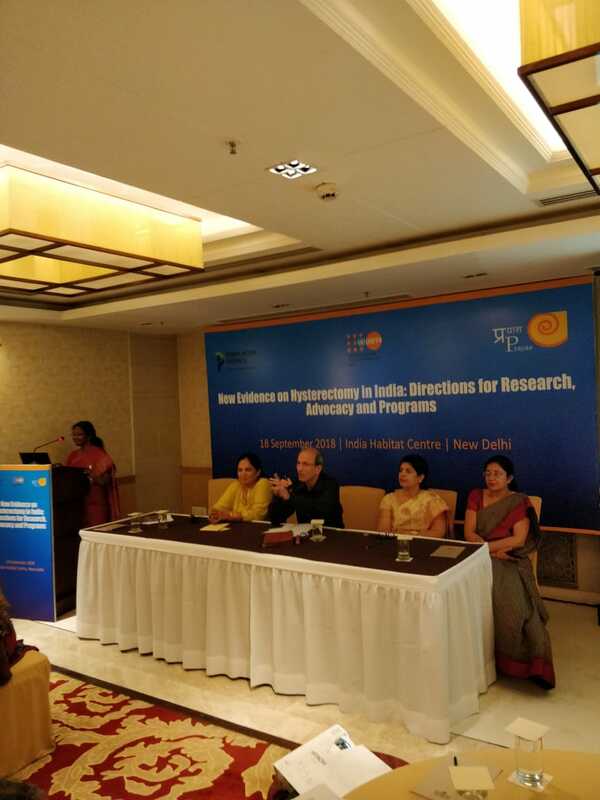 This follow-up consultation on 18 th September 2018 was organised with objectives to present findings from NFHS-4 and emerging research; learn from the perspectives of state- level policymakers; examine clinical issues linked to hysterectomy and treatment of gynaecological morbidity; and explore potential directions for research, advocacy and programs. 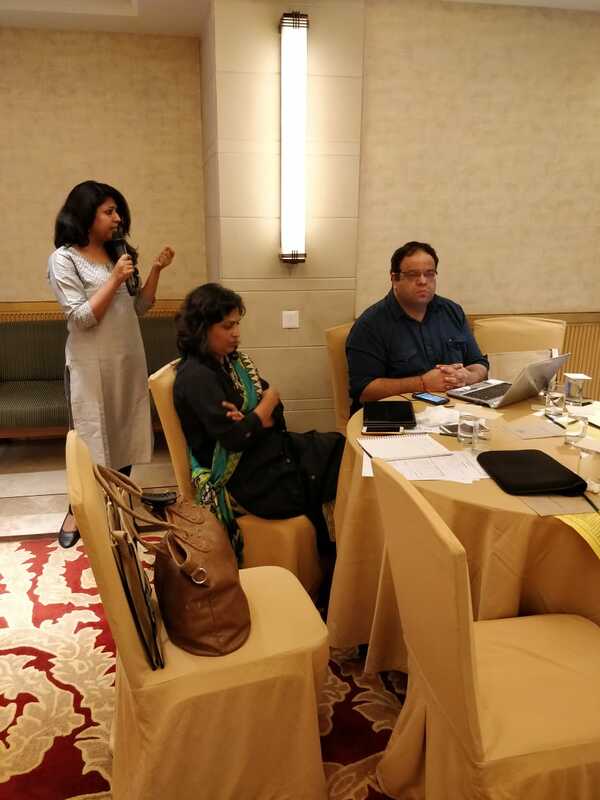 Around 50 experts representing diverse groups from across the country including civil society, development agencies, groups of clinicians such as FOGSI, technical nd policy advisory agencies such as NHSRC, NITI Aayog and researchers, doctors, public health experts media representatives etc participated in the deliberations.